Researchers from the Faculty of Medicine and Dentistry are leading a national study with £1.8 million of funding from the NIHR Health Technology Assessment programme (NIHR HTA: 15/111/01) to test the effectiveness of new support to help smokers who want to reduce but not quit. This study is managed by the Peninsula Clinical Trials Unit (PenCTU) and supported by the NIHR Collaboration for Applied Health Research and Care South West Peninsula (NIHR PenCLAHRC), and is a collaborative project between the University of Plymouth, Plymouth Hospitals NHS Trust, St George’s University of London, University of Oxford, University of Nottingham, University of Exeter and Plymouth City Council. or leave a message and a researcher will get back to you. You can also visit us on Facebook by clicking on the URL. Dr Lynne Callaghan (process evaluation lead). Professor Paul Aveyard, Chair in Behavioural Medicine at the University of Oxford, is the site Principal Investigator for Oxford, supported by Dr Claire Madigan (Senior Project Manager). Dr Rachael Murray, Associate Professor of Health Policy at the University of Nottingham, is the site Principal Investigator for Nottingham. According to statistics from Action on Smoking and Health (ASH), around 10 million adults in the UK smoke. Smoking prevalence has declined, yet the habit still claims approximately 100,000 lives each year. ASH claims that around two-thirds of current smokers want to reduce smoking but apart from e-cigarettes little support is available to help them – even though those who reduce are more likely to make a quit attempt. A recent pilot study which recruited Plymouth smokers showed preliminary evidence that providing personal Health Trainer support to reduce cigarette consumption and increase physical exercise, may reduce smoking rates, encourage more quit attempts and increase short-term abstinence (see: http://www.nets.nihr.ac.uk/projects/hta/077802). 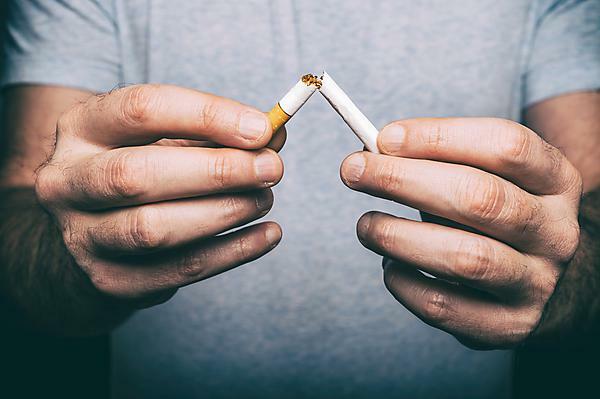 The aim of the study is to investigate whether the Health Trainer support is better at helping people to quit smoking for longer, compared with existing support. The study will recruit 900 people who currently smoke and who wish to reduce their cigarette consumption but who may have no immediate plan to quit. The volunteers will be recruited from four cities – Plymouth, Oxford, Nottingham and London. Half of the volunteers will receive existing advice on reducing smoking and where to get further support, while the others will receive up to eight face-to-face or phone contacts with a Health Trainer for up to eight weeks with support to reduce smoking and increase physical activity as chosen by the smoker. After completing an initial assessment, all participants will be asked to complete various surveys and measures after three and eight months. If they report that they are no longer smoking at three and eight months, they will be invited to attend a meeting with a researcher who will confirm their abstinence using a test to measure air levels of carbon monoxide in their breath. If participants are still not smoking at eight months they will be followed up after 15 months. The trial is open to recruitment until June 2019. Extensive development, testing and piloting of the TARs health trainer support will take place prior to the trial, with input from Colin Greaves (University of Exeter) and Professor Adrian Taylor’s group at University of Plymouth, with other co-applicants and patient and public involvement. The study aims to provide compelling evidence to support the pilot study and result in data which will bring this approach to future updated guidelines on the support which should be provided to reduce smoking. As well as measuring effectiveness for the quitting smoker, the research team will also estimate costs and predict long-term health and social care savings that the programme may produce. The study will report its findings in September 2020. Dan Preece is an advanced Public Health Practitioner with Plymouth City Council.